Barely 24 hours after we got wind of Samsung’s tablet for kids, the Korean company has announced the device. Galaxy Tab 3 Kids aims to make learning more fun with features tailored for kids. While the tablet is essentially Galaxy Tab 3 7.0 when it comes to hardware, the Galaxy Tab 3 Kids is pre-loaded with a brand new Kid’s Store and content ranging from educational, games, entertainment and e-book apps. 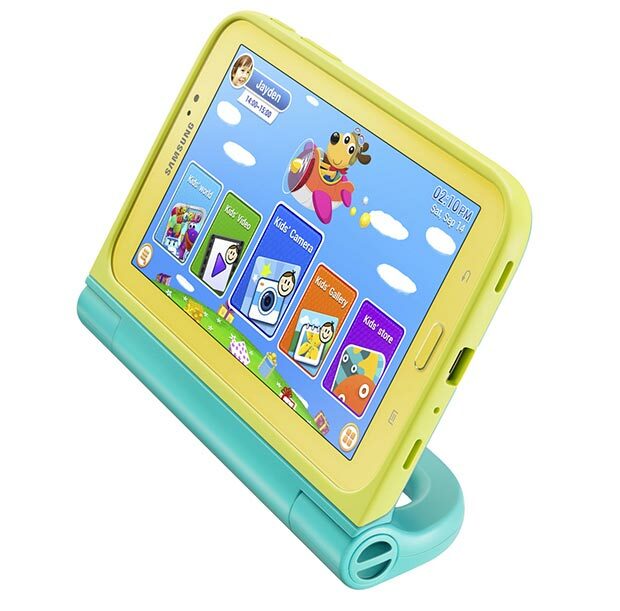 The tablet also gives parents the liberty what apps they want their kids to have access to, Time Management which automatically password protects the tablet after a specific time period and a case that offers a better grip, multiple standing options and C Pen, which is a kid-friendly pen to doodle on the tablet. Galaxy Tab 3 Kids’ hardware includes 1.2GHz dual-core CPU, 1GB RAM, 8GB memory, 3 megapixel camera, Wi-Fi, Bluetooth, Full HD video playback and 4000mAh battery. Samsung will release the tablet first in its home market as expected followed by other regions.